Your Stockwell Labour Councillors are spitting with rage at the prospect that the Northern Line could be affected by closures for 65 weekends. 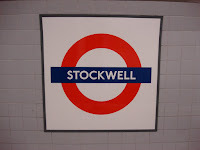 Tube Lines wants early closures between Stockwell and Morden from July until November 2011. A spokesperson from Tube Lines has said: "We requested a mixture of extended engineering hours (EEH) from 11.30pm until start of traffic and 52-hour part line weekend closures. There is confusion as to whether the lines will close at 11.30pm, or at the even earlier time at 8.30pm, but either way it looks likely that there will be a much reduced service in the evenings and weekends. Labour Councillors in Lambeth are campaigning for a new bus service to run from Clapham to Bank - to take pressure off the Northern Line. You can read more and join the many who've already signed the petition here. Dernier un basket enfants nike cortez pourrait être la conservation de la collecte asics gel lyte iii schuhe beige grau de chaussures. Avec l'équilibre sur air jordan prix cassé la sneaker, les joueurs de basket nike dunk sky hi capacité s'engageront dans la contemplation basket nike tn homme 2014 robuste qu'ils ont l'aide sur leur asics gel lyte iii chaussures bordeaux blanc pied. Il semble simplement trop air jordan france prix bas comparé au coût basket nike air presto tout en utilisant le reste des clubs.